WASHINGTON — Supreme Court nominee Brett Kavanaugh’s confirmation tumbled into highly charged arguing Thursday over whether key documents were being withheld, and one Democrat risked Senate discipline by releasing confidential material. A newly disclosed email revealed that President Donald Trump’s pick once suggested Roe v. Wade was not settled law. Meanwhile it was shown, in an email obtained by The Associated Press, that Kavanaugh had taken a different tone on a 2003 abortion case than he had during Wednesday’s hearing when he stressed how difficult it is to overturn precedents like Roe. In the email, Kavanaugh was reviewing a potential op-ed article in support of two judicial nominees while he was working at the George W. Bush White House, according to the document. It had been held by the committee as confidential. Chairman Chuck Grassley, R-Iowa, released more documents Thursday — including those Booker wanted made public — and stood by his handling of Kavanaugh’s paper trail. 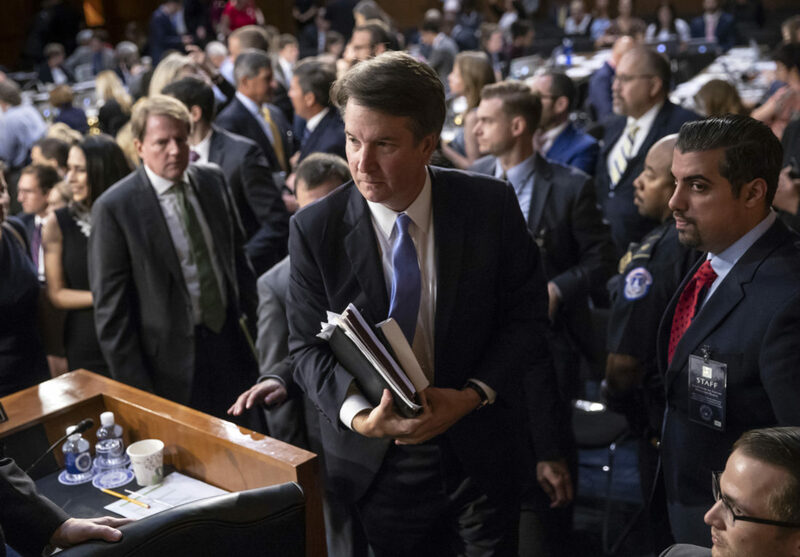 So far, Kavanaugh appears on track toward confirmation in the Republican-held Senate, but after a 12-hour session Wednesday and more questioning Thursday, he also does not seem to have changed minds on the committee, which is split along partisan lines.